You don’t have to settle for a boring backyard. The average yard consists of patches of grass and a tree here and there. However, Dorian Construction Group can turn your backyard into a your favorite place! If you have never relaxed in a spool or jacuzzi, you are missing out on some luxurious comfort. 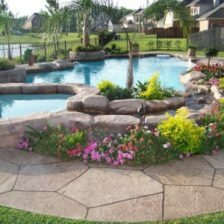 When deciding what type of water getaway to install in your backyard, there are many options worth considering. 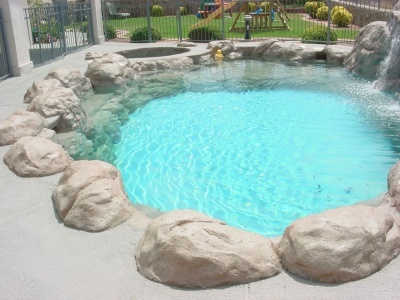 Spools are a cross between a spa and a pool for homeowners who are looking for the best of both worlds. This entails the luxury power jets spas are known for while functioning as a regular swimming pool whenever you’d like. Although spools are not as well-known, they’re often the perfect fit for homeowners with small backyard spaces. Dorian Construction Group offers design rendering for any spools or jacuzzis you are considering. 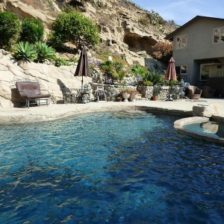 If you would like to have a pool that can convert into a spa whenever you want, this is the right choice for you. Spools offer you the ability to swim in normal temperatures for a regular pool workout and relax afterwards with its heated pressure jets located throughout. This is a great way to enjoy hot water therapy and regular pool benefits simultaneously. A spool is also a great way to make the most out of a large backyard. 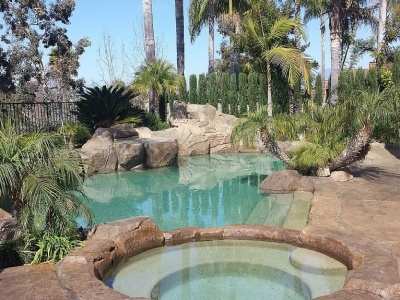 You don’t have to decide between a swimming pool and spa or a outdoor kitchen. 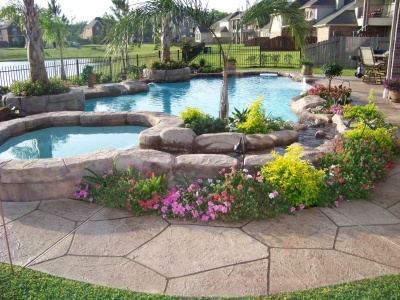 Our team can design an excellent outdoor space that includes both by utilizing a spool instead of a full-sized pool. We can create the perfect outdoor space for backyard parties and family events. 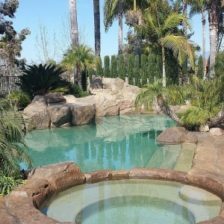 When it comes to outdoor construction, we offer landscaping, water features, outdoor kitchens, fireplaces, firepits, and so much more. We were voted El Paso’s Best in the Border two years in row, not just because our craftsmanship is great, but also because we deliver great customer service. We always include the customer in every step of the project. The best part of what we offer is complete customization for all of our projects. We do so much more than just install a fiberglass spool mold. In fact, we don’t use any kind of molds or prefabs in our construction. If you have a particular idea of how you want your backyard oasis to look and feel, our design team will take your ideas and bring them to life. Whether it’s a spool or jacuzzi in your backyard that you want, all of our outdoor jacuzzis offer the benefits of hydrotherapy. This is the combination of hot water and massage that offer relaxation, pain relief, improved sleep, better circulation, better joint movement, and a wealth of other health benefits. People have actually been harnessing the healing power of hot water since ancient Roman times. A hydromassage is great for post workout soreness, targeted pain relief, feet pain caused by arthritis or diabetes, and many other health conditions. At times, all you want is a place to rest your tired muscles after a long day. When this is the case, hot tubs can be the best choice for you. They are equipped with the essentials of a warm jetted atmosphere. 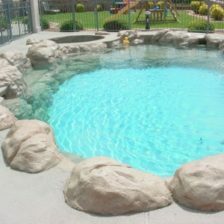 This is also the most economical choice when you are looking to add a watery escape to your outdoor environment. If you have any questions on spools, hot tubs or customized jacuzzis, then contact Dorian Construction Group today!